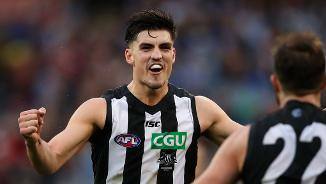 Star on the rise Brayden Maynard has put pen to paper and will remain in Black and White beyond 2018. Every team has a mix of hot-heads, relaxed faces and those who have a serious case of white-line fever. 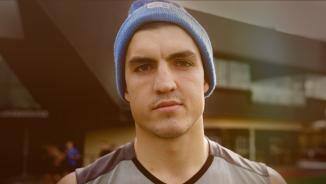 Scott Pendlebury discusses Collingwood's mix on the most recent 'Jock and Journo' podcast. 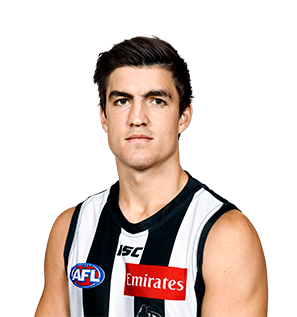 Young Collingwood defender Brayden Maynard has been charged with striking Greater Western Sydney's Steve Johnson. Renowned for his powerful and polished left foot, Maynard’s skills from half back rank among his greatest assets, along with his excellent vision and great agility. Two years into his senior career, he is already a regular in Collingwood's first choice team, having missed just three games since his senior debut midway through 2014. His bloodlines are strong, too, as his father Peter played eight games for Melbourne and was a star with Glenelg in the SANFL. Came of age at just 19-years-old, playing 20 senior games and entrenching himself in the Collingwood team of the future. He averaged 15.5 disposals and 4.45 marks across the season and did not miss a match from ANZAC Day onwards. He began to make an impact on the scoreboard late in the season, memorably kicking a goal from long range against the Bulldogs in round 21, and played arguably the best match of his young career against Gold Coast in round 22 when he had 22 disposals and laid seven tackles. Expect big things in the years to come. The match committee gave Collingwood fans a minor surprise when it named Brayden Maynard to debut in Collingwood’s round 14 clash with Hawthorn on a Friday night at the MCG. He shared a debutant's attention with fellow first-year Magpie Darcy Moore, but arguably stole the spotlight in a game which consisted of 11 disposals and six tackles. Maynard’s form continued to improve as he grew in confidence with exposure to the speed of senior football. He recorded a career-high 18 disposals against Port Adelaide in round 15, a game which saw him play for the first time in the state where his father was an SANFL champion. The 19-year-old replicated the feat against Carlton, but also added his first of two AFL goals for the season. While flashy goals or high-flying marks usually fill the highlights reel, Maynard’s courage and ability to attack the ball with no fear for his personal safety had fans gasping with excitement in the back half of 2015. Another full pre-season under his belt will allow him to do the same in the future as he continues to develop his endurance and add further senior experience. With his father Peter a member of Glenelg's Hall of Fame in South Australia, Maynard arrives at Collingwood with good footy pedigree. He's a tough player who builds his game around the contested side. At 186cm he's probably best suited to a half-back role, and he needs to work on his endurance, but he does have an impact with his physicality, particularly when he moves into the midfield for bursts.